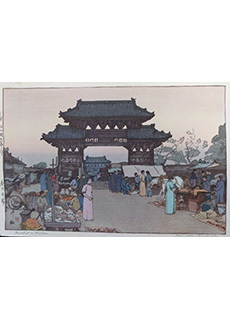 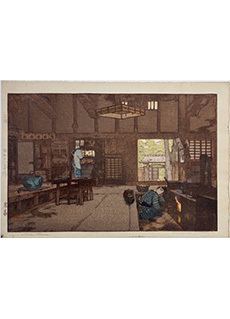 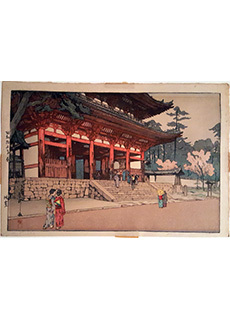 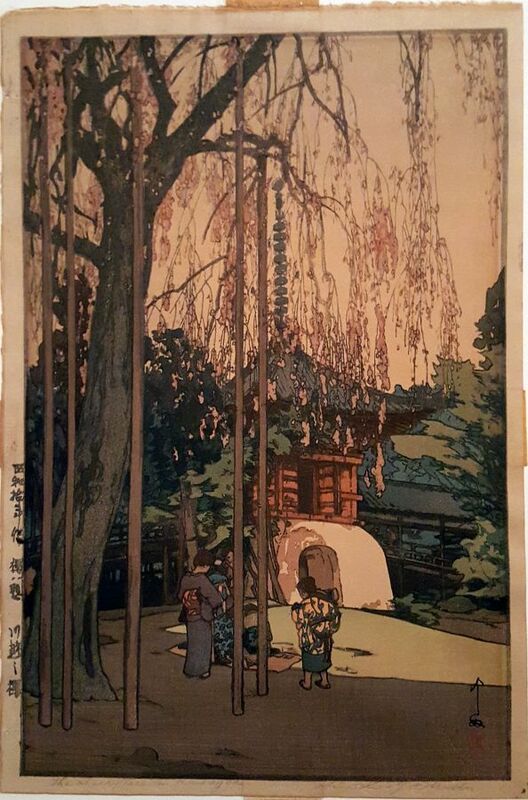 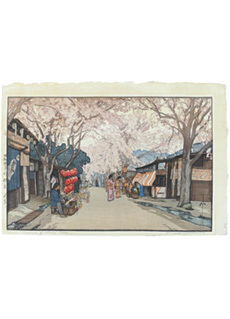 The Cherry Tree in Kawagoe by Hiroshi Yoshida Japanese woodblock print. 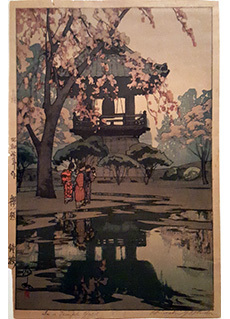 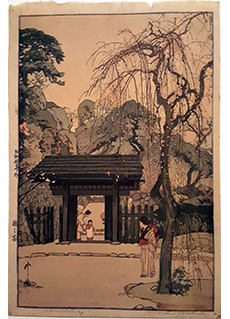 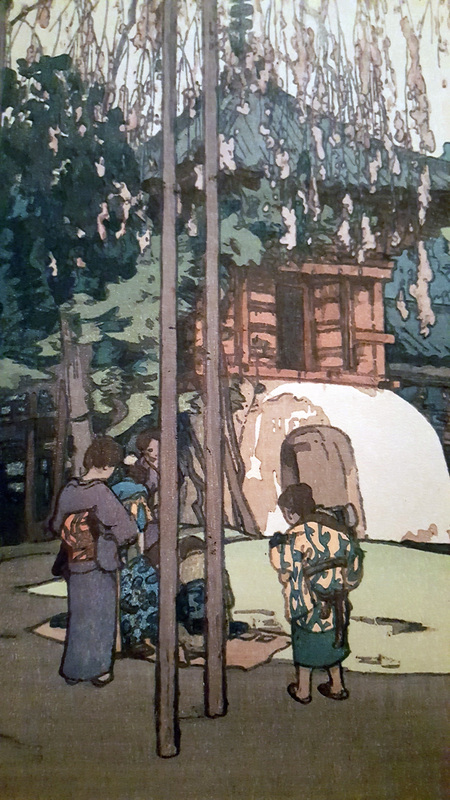 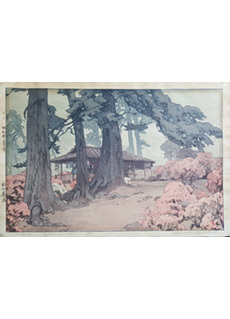 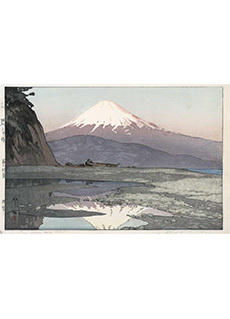 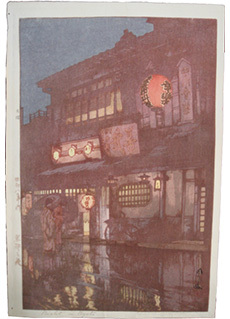 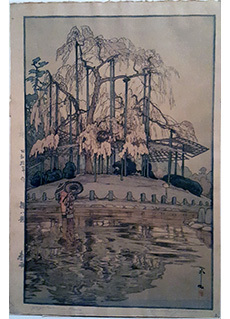 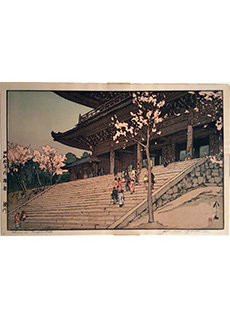 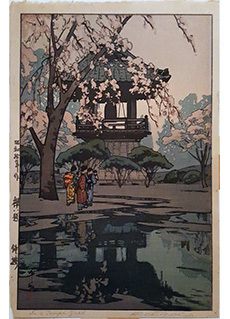 From Hiroshi Yoshida's series Eight Scenes of Cherry Blossoms. 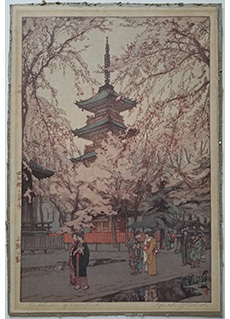 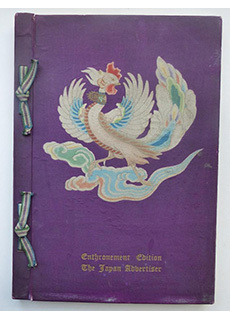 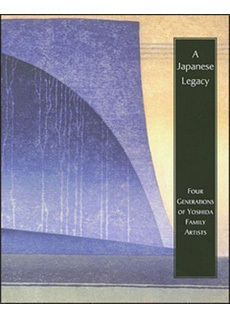 Printed posthumously from the original blocks by Toshi Yoshida and Yoshida Studio. 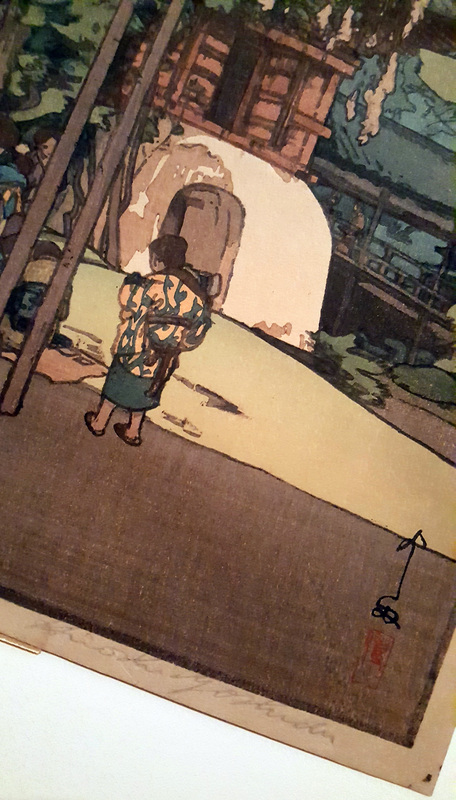 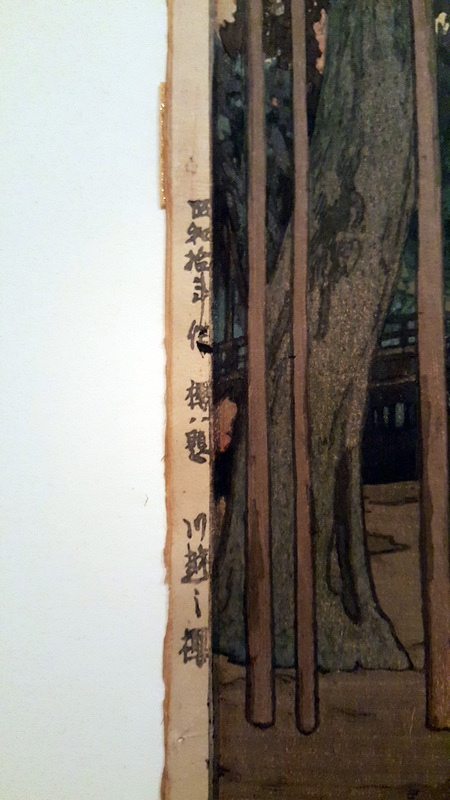 Artist's signature stamped in the block. 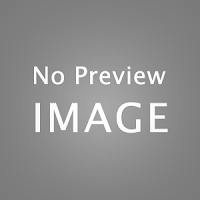 Condition: Good overall impression. 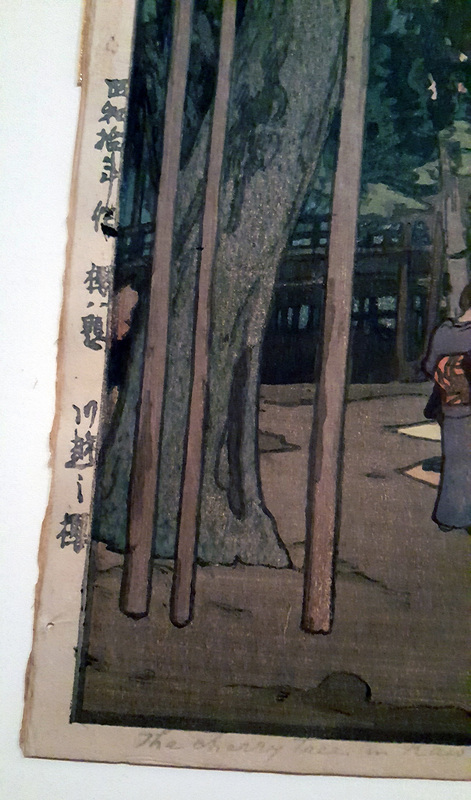 Some discoloration and slight mat burn. 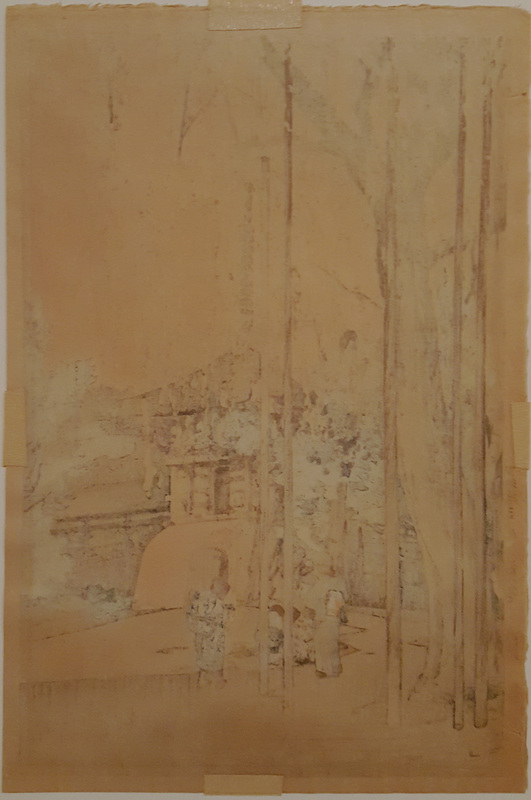 Tape remnants verso.